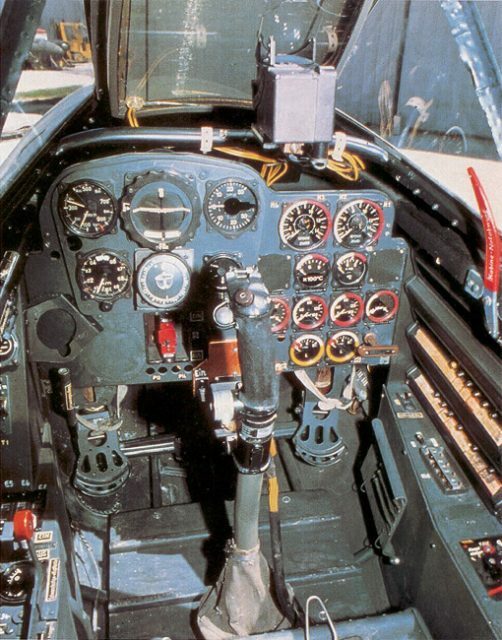 The development of weapons during the Second World War often laid a foundation for the technology that remains in use to this day. In a desperate attempt to turn the tide of the war, Nazi Germany invested huge amounts of money and manpower in building some of the most experimental weaponry of the conflict. 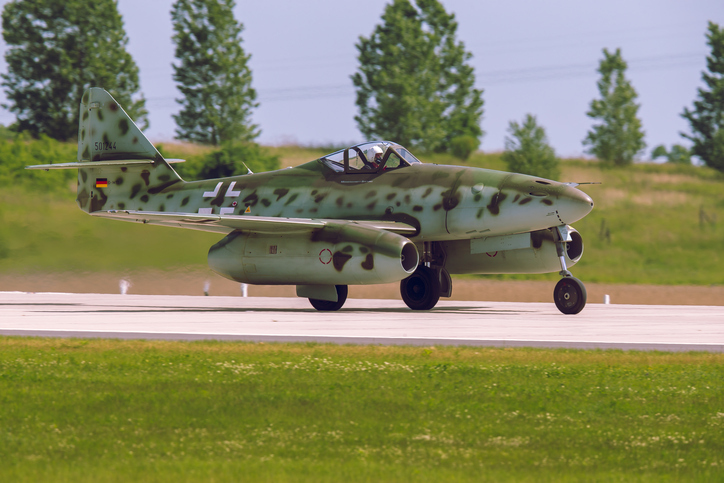 Perhaps the best-known game-changer to come out of the Nazi testing grounds was the Messerschmitt Me 262―an aircraft which launched piston-engine airplanes right into the jet age. 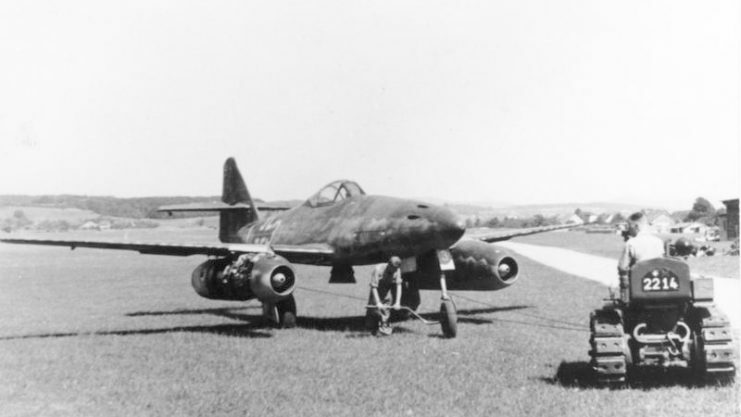 A German Messerschmitt Me 262A-1a jet fighter. 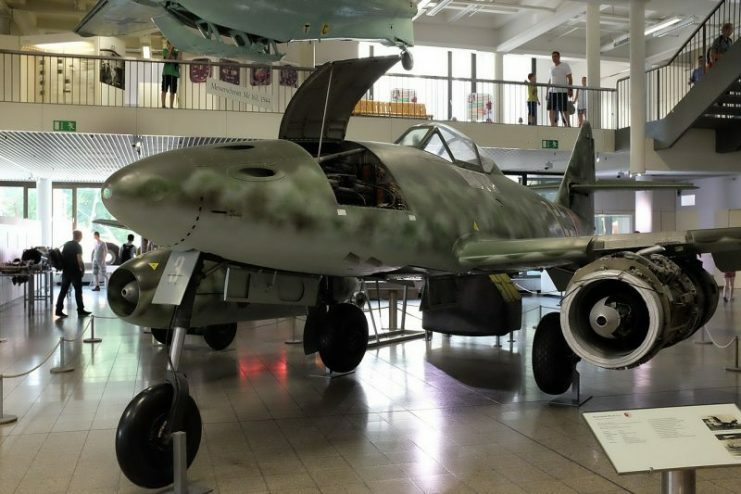 As the first fully operational jet-powered aircraft of the Second World War, the Me 262 revolutionized aerial warfare and proved to be highly effective against anything the Allies had to offer. 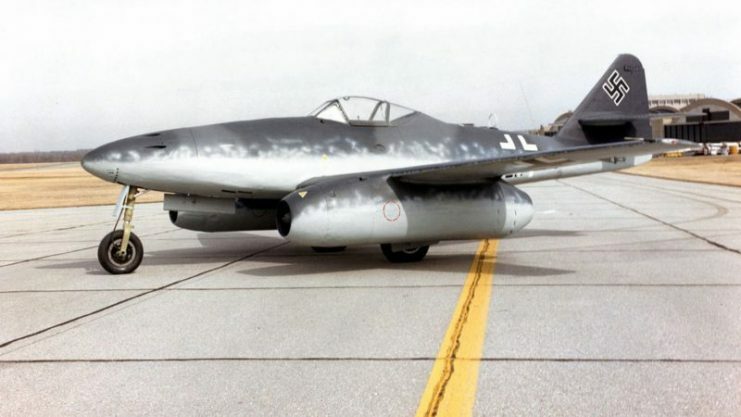 The development of this state-of-the-art technology started in 1936 when a German physicist and engineer, Hans von Ohain, constructed the first jet engine, soon to be installed on a Heinkel He 178. But the result was far from perfect―there were still many issues concerning the engine, metallurgy and top-level interference. 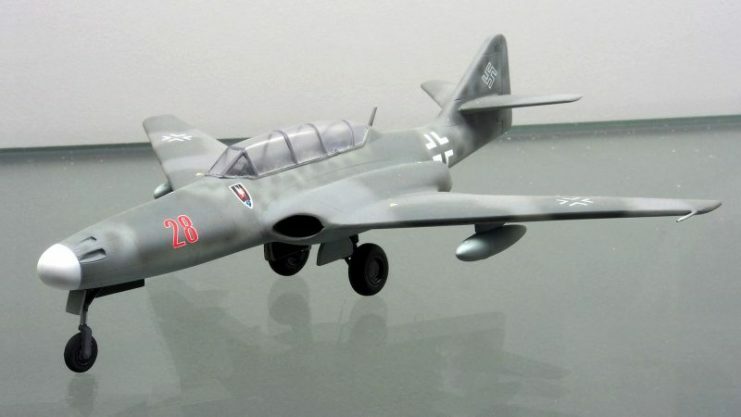 Nevertheless, He 178 laid the foundation for what was to become one of the greatest achievements of the war in the field of aeronautics. 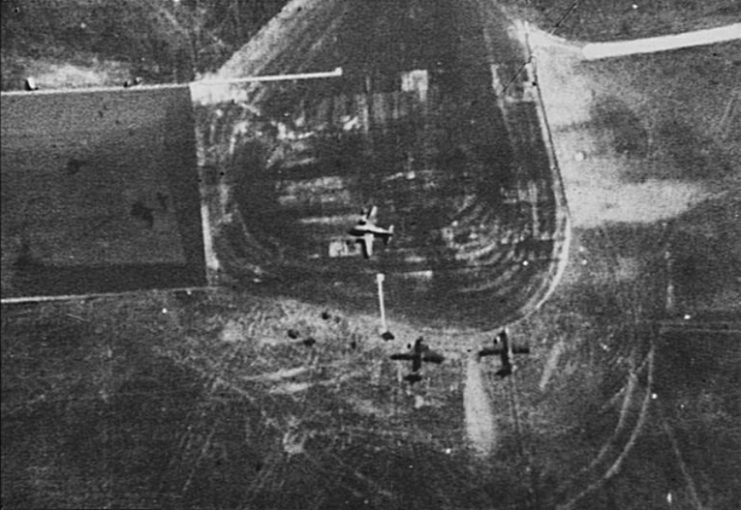 Allied aerial reconnaissance photo showing three Messerschmitt Me 262 jet fighters at the Rechlin-Lärz Airfield, circa in October 1944. 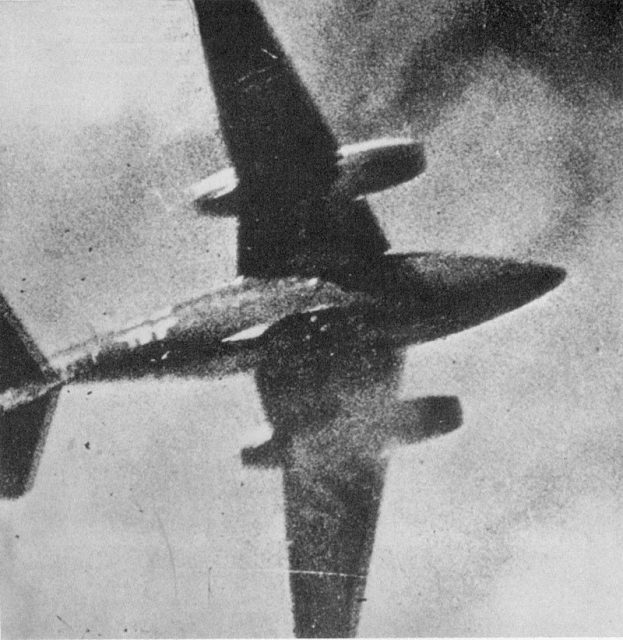 The Me 262, however, came a little too late. 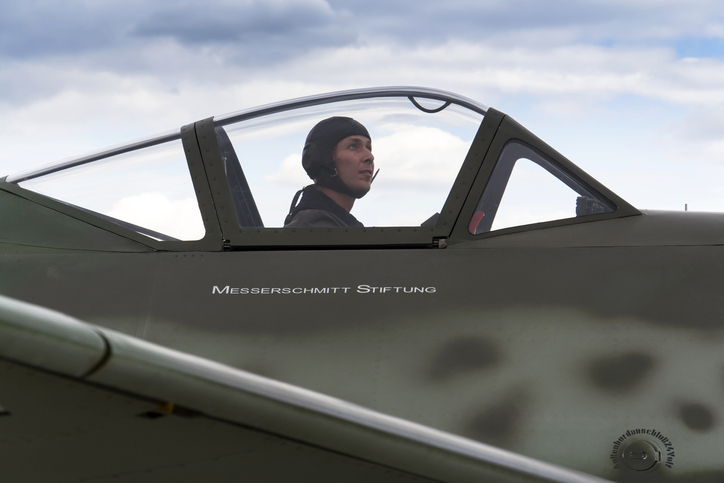 When it was introduced in April 1944, Allied air supremacy was already established over the skies of Europe, and it had yet to be mastered by veteran pilots of the Luftwaffe. 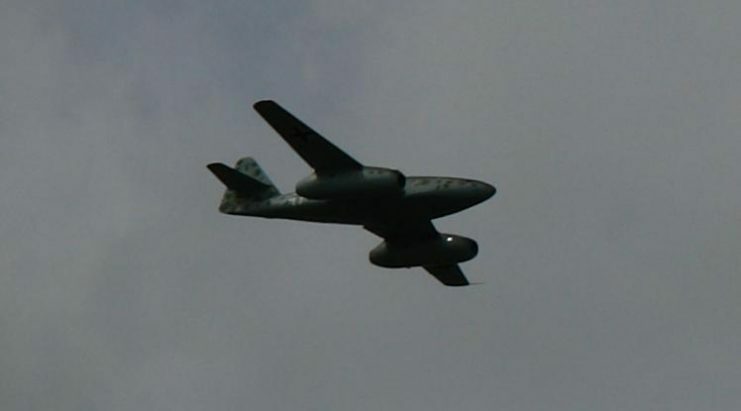 Even though the RAF introduced the Gloster Meteor as its first jet-powered aircraft just several months after, the British answer to Me 262 was significantly slower and lightly armed. 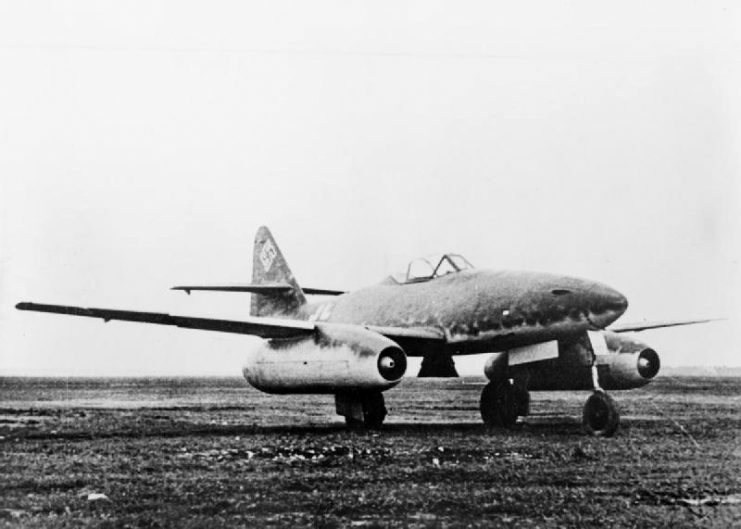 Capable of achieving top speeds over 530 mph, Me 262 was by far the fastest aircraft of the war, but in comparison to the Allied air armada, its numbers were too few to truly affect the outcome of the war. 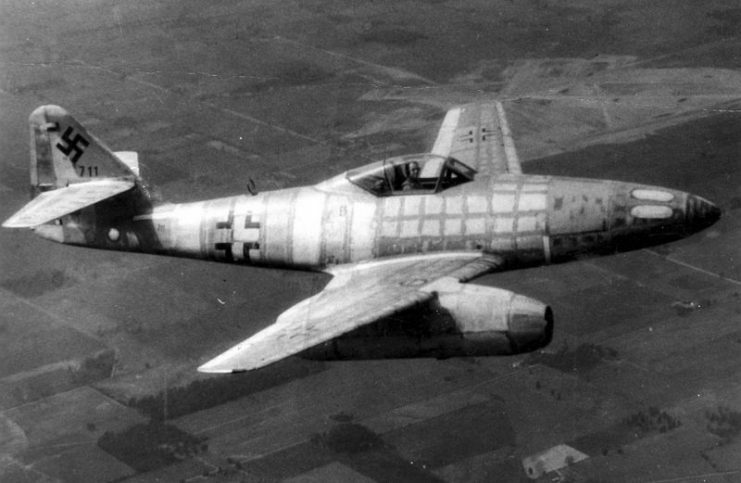 Despite speed and rate of climb being its biggest advantages over Allied aircraft, they were also a great shock for the pilots who were trained to fly the Me 262. Slightest mistakes led to horrible accidents, resulting in certain death. 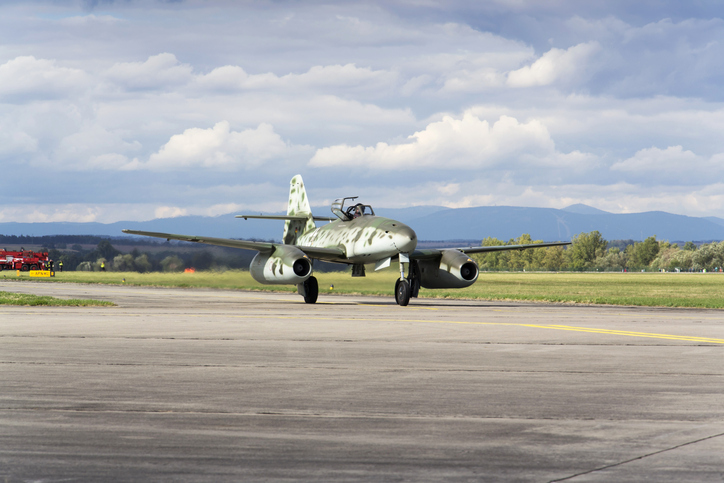 Once operational, the Me 262 assumed the role primarily as a fighter aircraft, as well as a fighter-bomber. Soon experiments were conducted in adapting it for night-fighting, but with limited success. 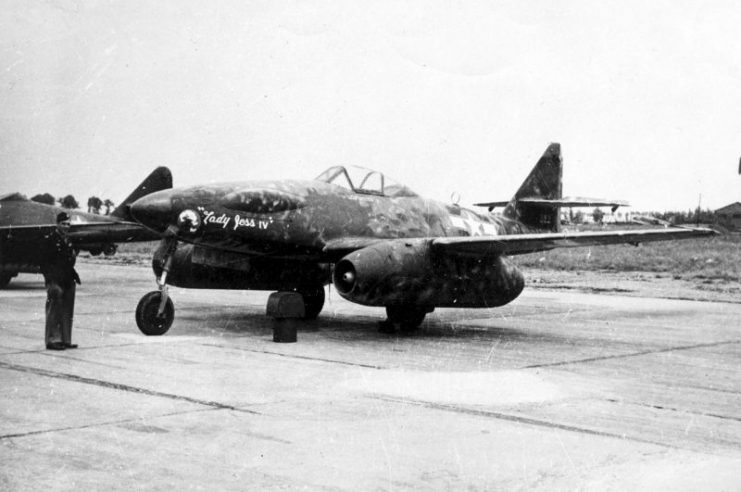 Me 262B-1a/U1 night fighter, Wrknr. 110306, with FuG 218 Neptun antennae in the nose and second seat for a radar operator. 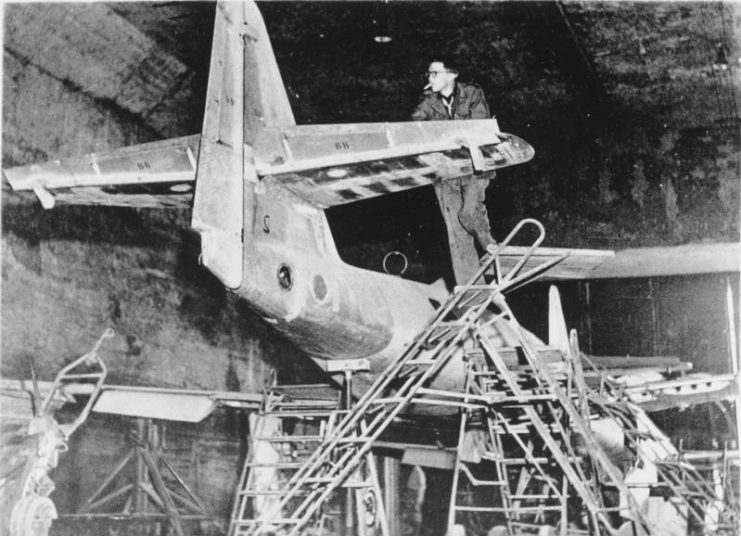 This airframe was surrendered to the RAF at Schleswig in May 1945 and taken to the UK for testing. 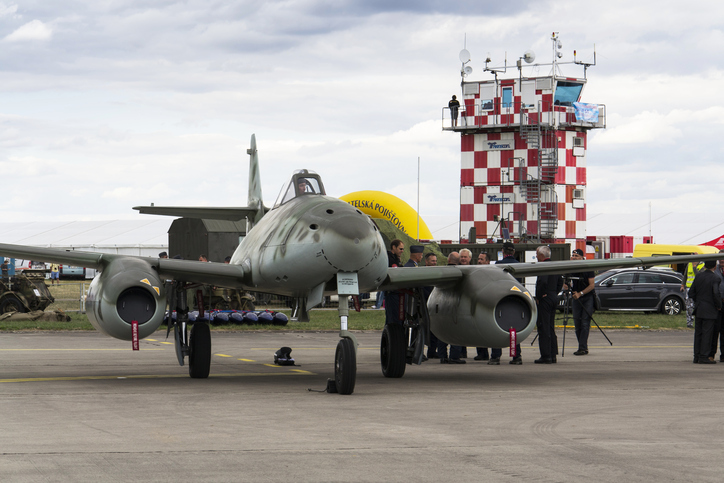 Messerschmitt Me-262 Schwalbe standing on runway at Czech international air festival on September 5, 2015 in Hradec Kralove, Czech republic. 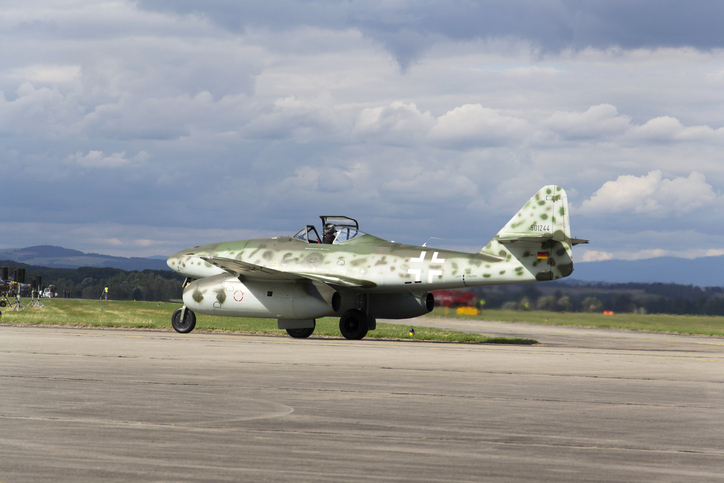 Hradec Kralove, Czech republic – September 5, 2015: Messerschmitt Me-262 Schwalbe rolling on runway at Czech international air festival on September 5, 2015 in Hradec Kralove, Czech republic. 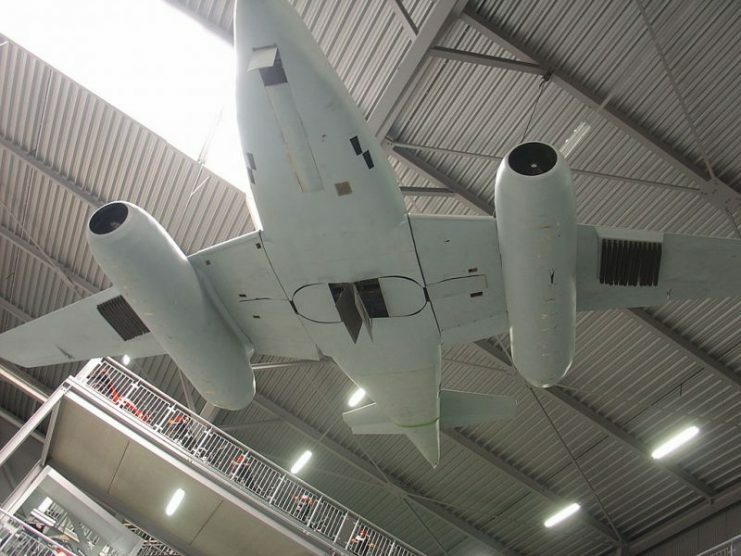 Me 262 with R4M underwing rocket racks on display at the Technikmuseum Speyer, Germany. 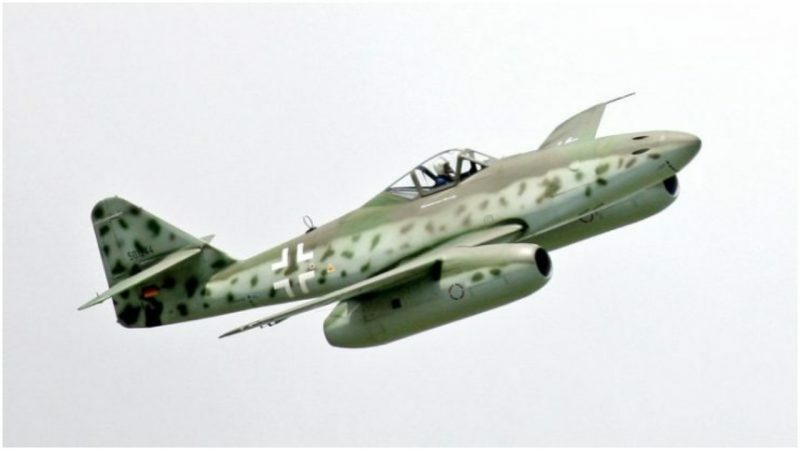 Allied forces, on the other hand, were completely helpless against this predator, and were forced to destroy the Me 262 aircraft while it was grounded. 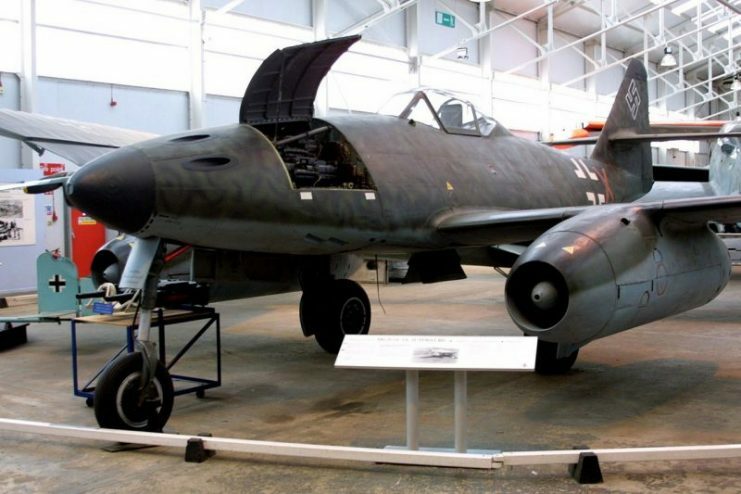 Despite their efforts, more than 554 kills were credited to the new jet fighter before Germany was forced to surrender. 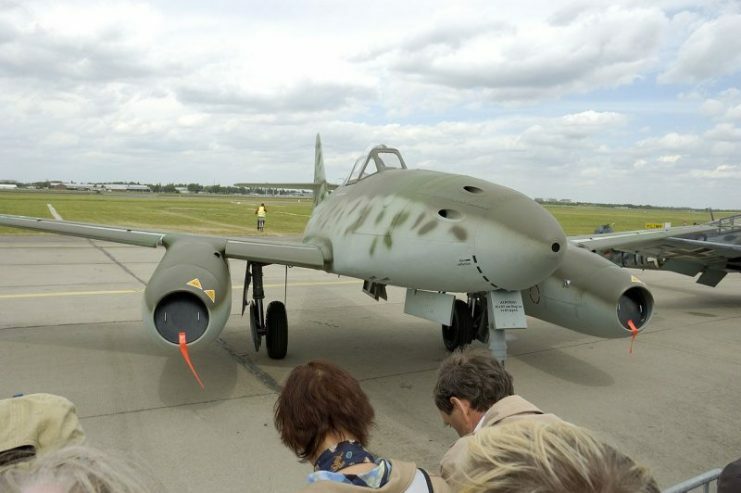 After WWII, Me 262’s technology was quickly adopted by both the Allies and the Soviets as the armaments race took off in the years of the Cold War.